This chapter is based on a comprehensive and systematic analysis of the 30 most-cited articles (adjusting to the length of publication time) on brands and branding, retrieved from the Social Sciences Citation Index (SSCI) database (1975-2008). Following the multidimensional scaling method and social network analysis, the results demonstrate five major subareas, which are characterized with different but interrelated intellectual structures. Among the selected core literature, a few theoretical or empirical articles play a key role in incubating or developing a research paradigm. Based on the analysis results, the authors observe that those five major domains and a relatively small number of seminal papers have important impacts on shaping the research paradigm with a lasting effect on future research directions. On the other hand, the authors argue that existing research on brands and branding has been dominantly focused on Western developed countries while brand management issues in emerging markets have been largely ignored and therefore deserve special attention in future research. Brands and branding have been practised for centuries, and will continue to thrive and prosper in the years to come, due to their fundamental effects on marketing strategy development of firms (Keller, 2010). In the past decade, in particular, branding has become a management issue of highest priority (Keller & Lehmann, 2006). For this very reason, issues related to brands, branding and brand equity have been regularly listed in the Marketing Science Institute’s priority research guides during 2002-2008 and 2010-2012 periods. As a result, significantly numbers of studies on various branding issues have been published. For example, a search through a university library database by Article+ with the keyword “brand” has turned up over 207,645 articles.2 The branding concept has been a basic domain of marketing science for long time, but new themes and topics of branding are constantly evolving. In MSI, for example, brand equity issues such as brand health indicators, emotional components of brands and optimizing brand portfolios were listed as priority topics during 2006-2008, whereas managing brands in a transformed marketplace has been added during 2010-2012. While several scholars have reviewed and evaluated branding related literature (e.g., Patterson & O’Malley, 2006; Christodoulides & de Chernatony, 2010; Loken, Joiner, & Houston, 2010), there still lacks a comprehensive overview that provides a holistic, objective and state-of-art review that sort out theoretical background and reveals structural relationships of branding literature. As research domains become diversified and new research themes continuously emerge, it is imperative to find ways to classify and delineate core research streams in large body of branding research literature and to identify key domains in the continuously evolved research themes. Results of such a work would shed lights in guiding future research directions. For this purpose, this chapter provides a scientometric analysis of the extant research literature on brands and branding. Scientometrics is the study of measuring and analysing scientific research by using the methods such as bibliometrics, which is a measurement of the impact of (scientific) publications. Scientometrics, particularly citation analysis, has been used to make objective evaluations on the core literature, authors, periodicals and relevant issues (e.g., Stremersch, Verniers, & Verhoef, 2007). Previous studies have conducted such analyses in marketing literature in general (e.g., Baumgartner & Pieters, 2003; Bettencourt & Houston, 2001) or consumer behavior literature in specific (e.g., Hoffman & Holbrook, 1993). 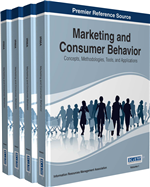 The focus of the analysis in this chapter is on a small number of seminal articles in branding areas that have been highly cited and have greatly contributed to the foundation of marketing discipline and the advancement of marketing theories. These most influential seminal papers influence and stimulate the scholarly community’s thinking and writing, and ultimately, the body of knowledge. This chapter attempts to answer the following questions with our scientometrics analyses: In the branding research literature, which articles can be considered seminal? Which researchers have contributed the most to the discipline? How the new body of knowledge has been emerged and advanced during the development process of branding research?